SKU: BSDstellar. Categories: Flowers, Indica. Smile and relax. That's the name of the game with Blue Space Dust. 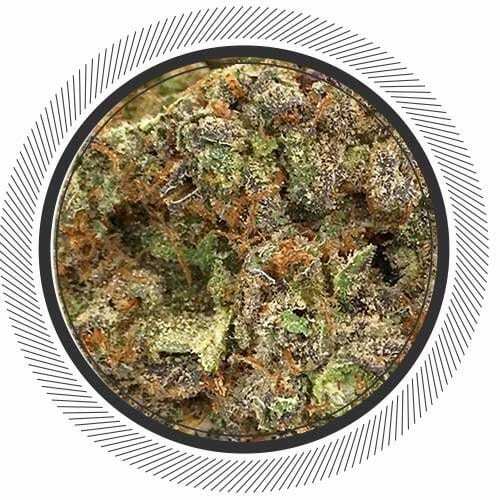 This is a one-of-a-kind in-house strain... Blue Space Dust is the beautiful child of Blueberry Headband and DJ Short's Blueberry. If you have crippling anxiety and OCD the Blueberry Headband in this strain will become your best friend. It's a smooth clean smoke. In some users it can completely take away any pain and put you in a dreamy, pleasurable state of euphoria and mental clarity. Immediately. For once, you won't be over-thinking and over-analyzing everything. Blueberry Headband is a full body high. Your entire body relaxes and feels at peace. Now onto the DJ Short Blueberry side of the family. 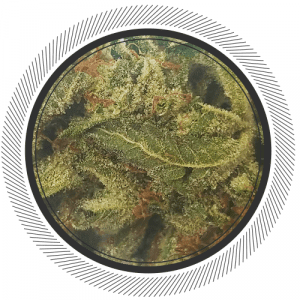 It is one of the most legendary strains on the planet because of it's incredibly sedative effects. It hits hard and lasts a very long time. The smell is quite special as well. It'll remind you of piney berries and you might even be tempted to take a bite. Awesome value, super nice blueberry smell and flavor. very stellar if you ask me! V v v pleasurable smoke. Really nice for after work when your mind can’t stop racing and you just want to kick back, talk to wifey, and then head to the bedroom for some lovey dovey time. Thanks wp. when i first opened the bag i got a very berry very slight piney smell it was amazing wayyyyy better then i thought it was gonna be it was super potent aswell first toke had my heart rate up lol 100% will buy again highly recommended ! 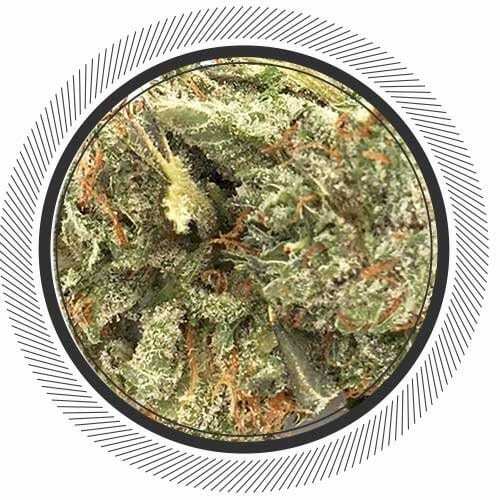 If you want a strain that will impress all of your stoner friends, this is the one! Two of my friends and I shared this in a joint, and it put all three of us on our asses. Honestly, debating whether I should order more of this right now. It’s that good! It honestly looks like something out of this world, as if it was grown by an alien! I caught myself just staring at it when it was all ground up in my grinder! 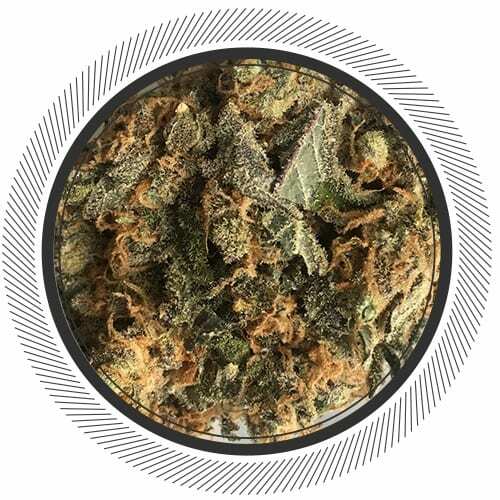 If you like blueberry headband… why haven’t you tried this one yet?? This is the perfect daytime body high, I have bad lower back pain and you smoke this and you feel amazing, I sparked this up by the time I was finish my two paper joint back pain was gone and I felt amazing, and you can get the stuff done you have been putting of because you don’t get stuck on the couch. If you want a sweet daytime high let Blue Space Dust take you for a ride. Got my order it ok but not what I though ??? Smells great and smooth smoke! Great for anxiety and over thinking. Leaves you a little bit spaced out after smoking for longer periods. Light enough for daytime but would recommend after dinner. Great way to clear your mind after a long day at work. Get up and get out there high! Great high. Full relaxation envoked, stress relief enabled. Worth the cost and then some. Buds are pretty big, when put through the grinder a whole lot of crystal was down in my chamber, which is awesome! The smell is pretty strong and kind of ‘fresh’, which is a compliment. One bowl is great for sitting around watching a movie hangin out after work, two bowls and its time for bed. Excellent, especially for the price! I just gotta say this was an awesome strain for sure most definitely try again soon was vary happy with my order and this strain. Wasn’t to dry or damp was perfect and grinded up nicely. Great Price and buzz grat in public settings. The bud is so unrealistic. Had a dry bud and as I broke it in half all I can see is a cloud of dust (crystals). Has a unique colour to it and a great fast. Ordering again. I originally tried this elsewhere and I’m pleased it’s in stock here! I have a huge pressure job– this… washes it all away on a day off. Pretty much exactly what is said in the description. Really good body high and felt uplifted. Wasn’t a crazy cerebral high but just enough to feel good! That’s all I kept saying after smoking it “man I feel good” with a giant smile. Deffs a bud to unwind and enjoy a night. Will buy again! Pretty damn good strain, Does the job perfectly. Removes migraines and back pains quick and easy. I would recommend. Dang me. Best brace yourself for a full time session because this will infiltrate your brain and well, you’re about done! Start small and enjoy! Very nice and smooth smoke, good for vaping and anxiety and appetite loss WP friends! 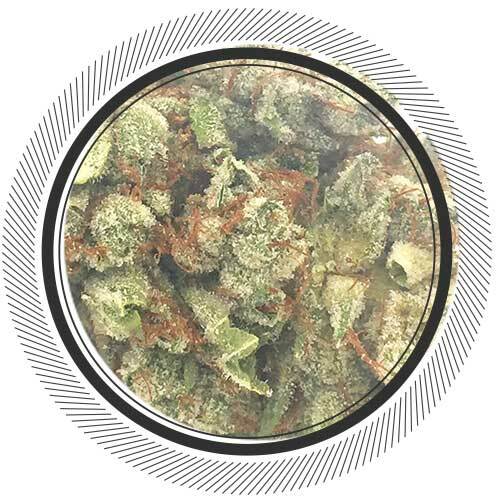 Appearance 9.5/10 light green medium to large sized dense frosty white well cured and trimmed buds with moderate orange hairs. Aroma 8/10 mild sweet fruity berry scent,very pleasant. Flavor 8/10 mild smooth vapor, a little sweet with a hint of berries. Active effects 7/10 spaced out head high, mild body high, makes me feel stupid,impairs my concentration and focus,that might be great for those with anxiety but feels counter productive for myself. Overall 7.5/10 looks real good, smells and tastes fairly good, not my favorite kind of high but i know it could be just what some people need. We all have our individual needs, tastes and preferences,find something that works for you, maybe this is it? this is great stuff!! the size of the buds is awesome, it smells really piney, and almost immediately i was spaced out & happy. would recommend for suffering from depression/migraines like myself. It shuts out the problems on your mind for a bit- which is very desirable. The price- on par with the quality. Not a whole lot to say. It’s a filler for when you wait for your premium stuff to arrive. You won’t be disappointed IF you go in expecting average. A good day time, mellow high. Clear your schedule, this is going to be trip. My first purchase from White Palm, and I’m very satisfied. Having sampled many of the “Blue” strains, I took a chance on Blue Space Dream, and I was happily surprised by the quality. 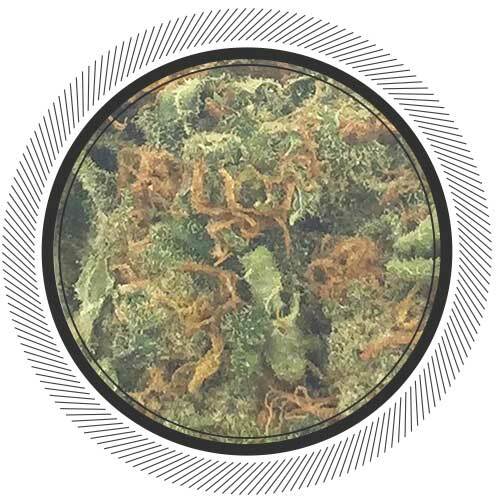 At first glance, the nugs are dull coloured with minimal highlights, but upon closer inspection, you’ll see the nugs are dense and covered in crystal resin. Under strong light they actually sparkle. The smell is strong and pungent, dominated by it’s Blue Cheese heritage, and with hints of petrol. You’ll want to store it in glass unless you want it as an air freshener. I exclusively use dry herbal vapes, and my main is a Da Vinci handheld portable. The oven holds about 0.75g, and I heat it to 200-205C. 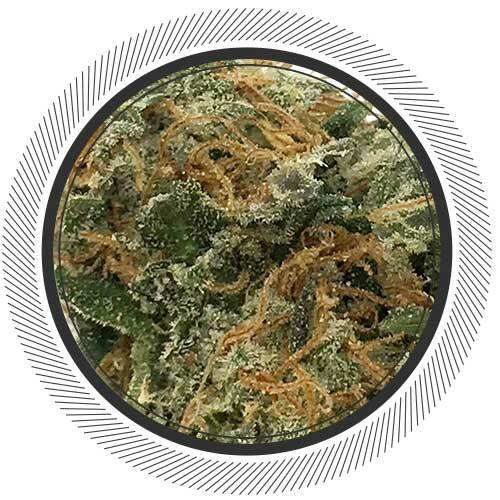 I’ve been biding my time on Ditchweed until I could find a good supplier (Thank you White Palm! ), so I was packing the oven tight. Upon receiving my order, I went through the motions, and started my session. The vapour was smooth and the dense nugs provided a large volume. After 20 minutes the load was done, and so was I. 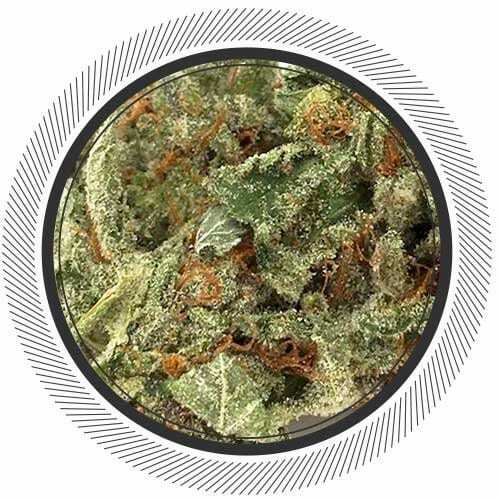 The couch lock was intense, a brilliant mix of body relaxation and clear mind with no spins. The effect was long lasting, and the taper was very gradual. A nice thing I’ve rarely encountered was I didn’t get the heavy jump in appetite. In hindsight, I realized I should have decreased the load size, so the next session was with a little more than half the amount. This time around I got all the same effects, only not as extreme, and I was more functional. It was a good time, and one of the easiest shifts to sleep I’ve had in my life. Overall, easily scores in the 90s across the board. Verily recommended. I’m a sucker for a good sale. 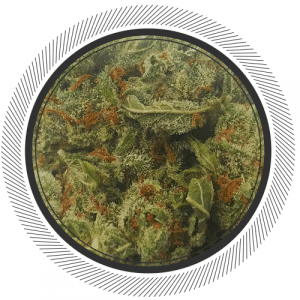 $150.00 an ounce, shipped to your house is a great deal. The bag appeal is nice, medium sized, dense nugs. it smelled and tastes like berries which I like. I would recommend this and would purchase it again. Great at that price, really can’t go wrong!! Better than expected. Very dense caked buds. Very smooth with an excellent taste. Good day time smoke. I would recommend.